When Lauretta was seven years old her father, Simon Shukwana Gwina, died. Both he and Lauretta’s mother were teachers. Lauretta’s mother became the sole breadwinner in the family. Despite the difficulties, she was determined that all her children would be educated regardless of their gender. Lauretta went to primary school in Webbstown and Nokweja. In 1944 she was at a boarding school run by American missionaries in Dumisa and then in 1946 she went to Inanda Seminary. At home, she had gained a knowledge and interest in English literature and history from her mother. Lauretta’s husband was imprisoned in 1960 for his political activities in the PAC and the Sharpeville uprising. In 1963 she was forced to leave South Africa. She presents active women characters and portrays the solidarity and strength that binds rural Black South African women. It is through the life of Jezile, a young rural woman, that we are made aware of women’s experiences under apartheid and the migrant labour system. Traditional Zulu power structures, especially that of the mother-in-law, and patriarchy are also problematised in what is a tragic yet tender tale of deep love, human strength and resilience. Her children’s story, Fiki Learns to Like Other People, published in 1993, is based in Southern Africa and aimed primarily at children learning English as a second language. In 1985 Kunapipi published ‘The African Woman Writer’, a speech given by Lauretta at the African Writers’ Conference in London in 1984, and an essay entitled ‘My Life and Writing’. ‘The Plight of Exiles’ appeared in African Concord and in 1990 ‘Black, Female, British and Free’ was published in For a Change. For many years Lauretta was president of ATCAL, the Association for the Teaching of Caribbean, African and Associated Asian Literatures. She said, ‘We sought to persuade the Department of Education and Science through the inspectorate, to introduce into the various syllabi some text books from these rich literature sources.’19 She was also a founding member of the African women’s organisation, Akina Mama Wa Afrika which produced the journal, African Woman. Lauretta felt strongly that ‘African writing should draw more from the African traditions of oral culture. I have not done much myself in this way but I feel it ought to be the way my writing goes’.20 She would like to write fictional works based on the lives of some of Southern Africa’s women leaders and spiritualists. After thirty years in exile, she returned to South Africa. She worked in education, and served on the KwaZulu-Natal provincial legislature until 2008. It was in this year that she was awarded the Order of Ikhamanga by the South African government in recognition of her literary achievements. She edited an anthology of exiled South African women writers, Prodigal Daughters published in 2012. 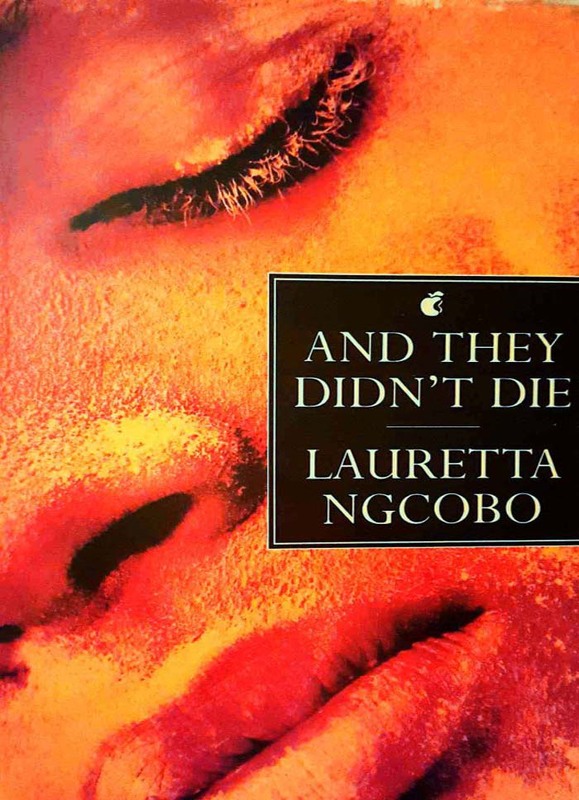 Lauretta Ngcobo died in Johannesburg on the 3rd November 2015. She is one of South Africa’s literary pioneers. A writer who fought tirelessly to give voice to her people, to Africans, to people of the African diaspora, to Black women. She specifically represented the experiences, resistance and power of Black, South African women. 1 ‘My Life and My Writing’. Kunapipi, Special Double Issue Colonial and Post-Colonial Women’s Writing, 7, 2 &3, 1985, p.83 Lauretta Ngcobo has published two articles entitled ‘My Life and My Writing’. One published in Kunapipi and republished in A Double Colonization: Colonial and Post-Colonial Women’s Writing, eds. K. Petersen and A. Rutherford. Oxford: Dangaroo Press. 1986 and another published in Let It Be Told, ed. Lauretta Ngcobo, London: Virago. 1988. The two articles are different. In Memory of Lauretta Ngcobo by Gaele Sobott is licensed under a Creative Commons Attribution-NoDerivatives 4.0 International License. Posted on November 12, 2015 November 12, 2015 by GaeleSobott	This entry was posted in Biography, Black South African Women Writers, Black Women Writers, Book Review, Critical Thinking, Culture, Diversity, Elders, Life story, Literature, Oral History, Post Colonial Writing, Process, Silences, Solidarity, South African Literature, South African Women Writers, Spoken Word, Uncategorized, women, Writing and tagged #Community, #Poetry, #Writers, African literature, African women writers, African writers, Bantu Education, Black South African Women Writers, Black South African Writers, Black Women Writers, Culture, folk stories, KwaZulu, Lauretta Ngcobo, literature, Natal, oral history, Oral traditions, poems, Post Colonial Literature, South African Writers, story telling, writing, Zulu. Bookmark the permalink.